As a digital nomad or freelancer, you dont always have access to a quiet office. Of course, theres your sofa, your kitchen table or even your bed, but working in your own home can sometimes drive you crazy. That observation becomes even more accurate when you live in a shared house: youre in the zone, working and focusing like no ones watching, then your roommate comes home early and starts talking to you for 2 hours. Sounds familiar? If you just thought to yourself yup, sounds about right, keep reading! Café Capitale is a Brussels-based coffee brand with three physical locations in the city. Important info for coffee lovers: they roast their own beans, ensuring the finest coffee quality in each cup they pour. Their main café is located in the heart of Brussels and has a scandinavian yet cosy vibe. The large windows bring a lot of light in the room, which is really comfortable when working. 45 rue du Midi, 1000 Brussels. Open Monday through Friday from 07.30 to 20 and on the weekend from 09.30 to 20. 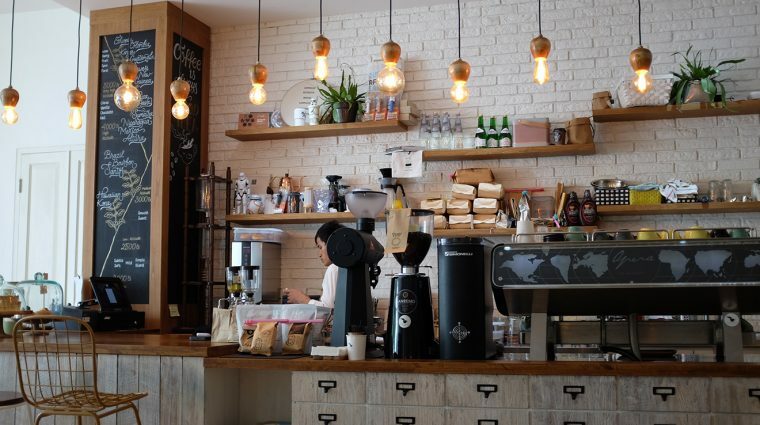 As stated in its name, the Workshop Café is a place where you can work and drink coffee. The place is pretty big, with a lot of small tables and a few sofas; its tailor-made for people who need to work by themselves. Theres also a quiet first floor filled with light where you can find individual seats facing a huge window. Although its not one of the best coffee places in Brussels per say, the food is pretty good and the coffees very decent. Most importantly, the wifi is fast and reliable. Tip: avoid this place on hot Summer days, it gets really warm. Avenue Louise 146 , 1050 Ixelles. Open Monday through Friday from 8 to 19 and on Saturday from 10 to 18. A warm atmosphere, sockets everywhere, wooden tables and strong wifi make Jat Café an ideal work spot. The place is usually quiet, at least during week days, bright and you can rely on soft armchairs to spend a nice afternoon behind your laptop. Jat Café offers a wide selection of food: bagels, cupcakes, salads… They have an option for each and every break during your work day. Prices are a bit high, but if you compare them to what renting an office costs, youll be just fine. c o o l c a f é s ?????? Rue de Namur 28, 1000 Bruxelles. Open Monday through Friday from 8 to 18 and on the weekend from 9 to 19. Lulu is a pretty unique hybrid place. You have the concept store part, where you can find fine furniture and home decor, and the café part, where they serve coffee and food pretty much all day long. The café part is the one were interested in here: its very comfy and heavily decorated with toys, furs, retro elements and old advertising signs. The food, mainly soups, sandwiches and croque-monsieur, is very tasty, the coffee is qualitative and the sweets are homemade. If you go sit in the back, youre sure youll have the most quiet spot of the café. Tip: its open on Sundays, for the hard workers reading us. Rue du Page 101, 1050 Bruxelles. Open Tuesday through Saturday from 8 to 19 and on Sunday from 8 to 17. Their homemade sweets and smoothies are also really good, though a little expensive if you ask our honest opinion. However, youll hardly find a more homey place in Brussels where you can open your laptop and just get the work done. 203 Chaussée de Charleroi, 1060 Saint-Gilles. Open Tuesday through Friday from 8 to 18, on Saturday from 9 to 18 and on Sunday from 10 to 18.